Reports From The Pharm: Virtual Pharmacy School Fair: Meet us in space! This is sooo 2014, right? 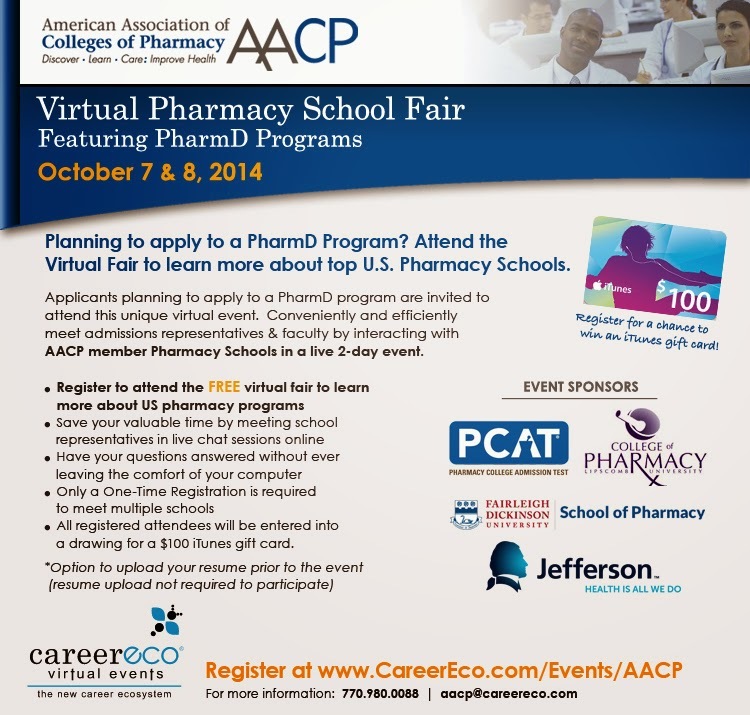 A Virtual Pharmacy School Fair. We are excited to have our outreach and admissions team participating in the two-day fair this year! I'm not totally sure how it works (yet) but I've heard great things from other schools and students who found "attending" the event to be quite helpful and worthwhile. The best part -- you can show up in your pajamas. For free. Meet us there! Event details are available online.